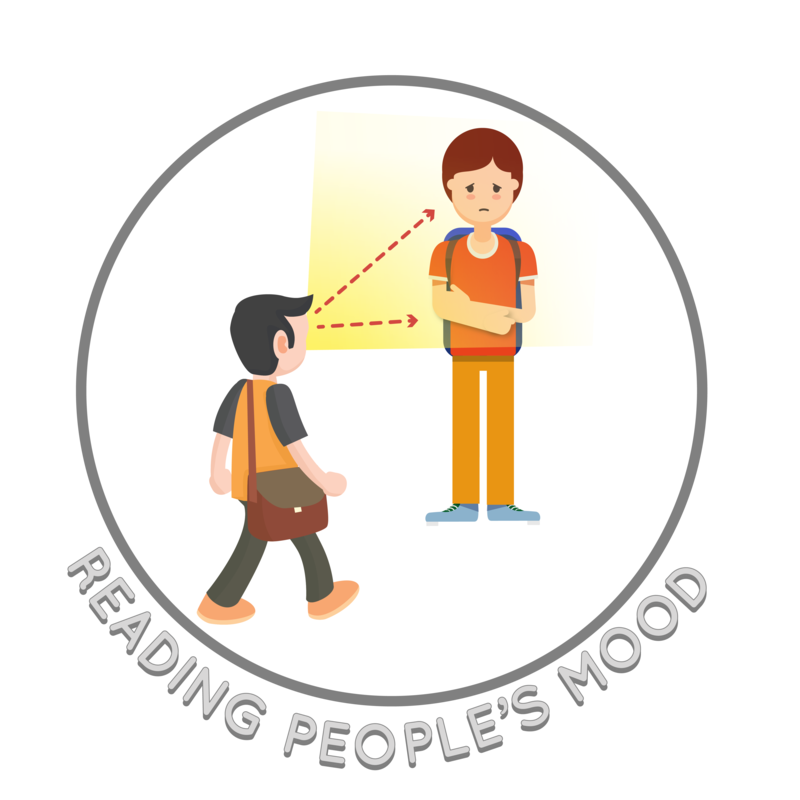 Reading People's Moods is a similar tool to Reading the Room, but focuses on how to tell how someone feels. We teach students how to observe others and the environment. We start by examining the subject's facial expression, body language, tone of voice, and the words they use. In the environment, we think about the place, time, objects, and space. When we put all of these clues together, we can read someone's mood to tell how they're feeling and even make a guess as to why.